You will appear more awake and alert while saving time on both your morning & evening routine. With deep black eyelash tint that will last up to 4 weeks, expect to wake up with perfectly tinted and curled lashes everyday. No mascara needed. 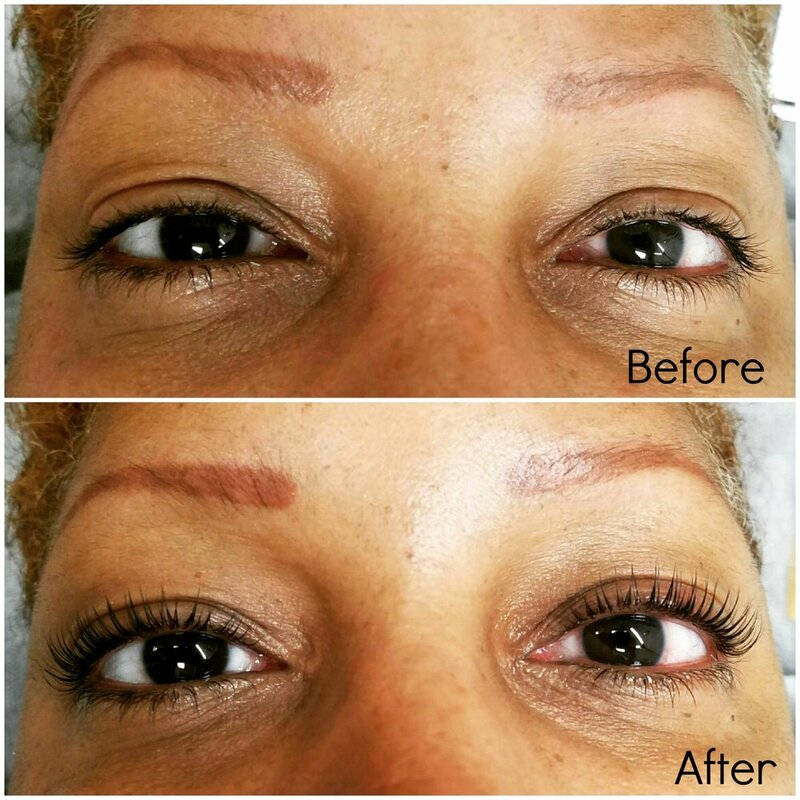 NOTICE: The lash lift is a chemical treatment that restructures lash hair. This is a permanent change that will grow out with your natural lash cycle. It is referred to as semi-permanent because new lashes will eventually replace the lifted lashes. During the growing out stage, there will be a mix of curled lashes and straight lashes that may make applying mascara challenging. Heated curlers are safe to use as your new lashes grow in to blend. 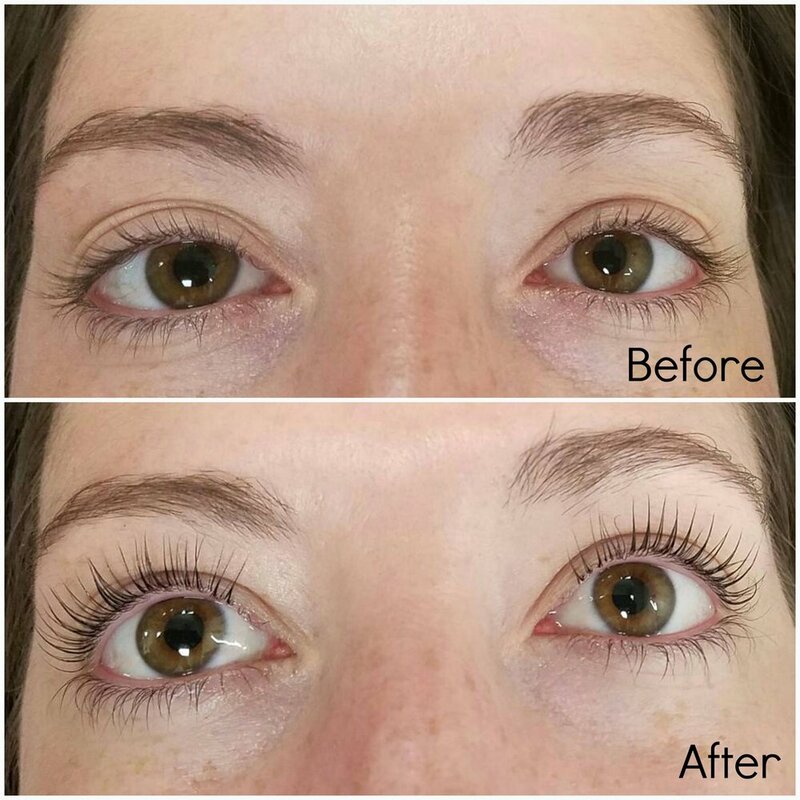 If you feel the growing out process may be problematic for you, the lash lift service may not be for you.